Between 11am & 12 noon, on Saturday 1st June, Her Excellency Professor Marie Bashir AC CVO, Governor of New South Wales, accompanied by Paul Toole, State Member for Bathurst, Bob Morris, Steve Ring and other members of the Hartley Village Trust, officially opened the new Kew-Y-Anh Bel Rock Walking Track and Kew –Y-Anh Indigenous Art Gallery in the Hartley Historic Village. 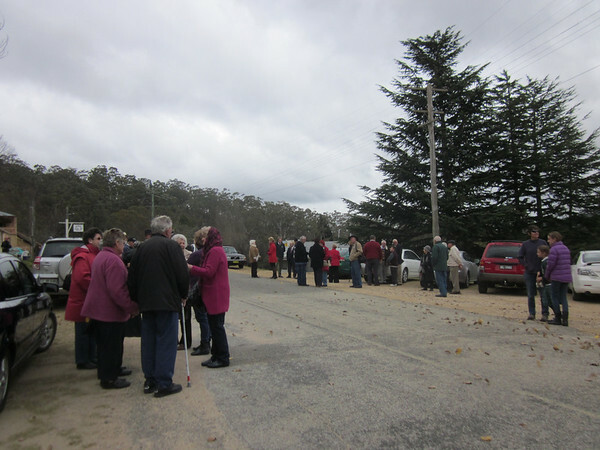 Many came to witness this event, to speak with Her Excellency and partake of a delicious and generous morning tea provided by the Auxiliary of St John’s Anglican Church in Hartley in the Old Post Office building. Click on the image below to view the Gallery of photos taken at this historic event.